Browse > Home / / Never the Same Missions - T-shirt Fundraiser Now Available! 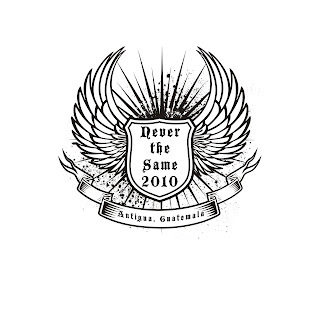 Never the Same Missions - T-shirt Fundraiser Now Available! We partnered with Big World Ventures again to create a cutting edge, custom designed shirt for you to use to raise funds for your mission trip to Guatemala! Create buzz and momentum for your mission trip fundraising by involving your friends, youth group, family and church in this t-shirt fundraiser. It is proven to raise hundreds and even thousands of dollars. The best thing about this fundraiser is that there is NO money out of your pocket! More details and the design below - email us at info@missionthreads.com for more details. OVERVIEW: Use this information to show your supporters the shirt design above. Communicate the fundraiser in all your areas of influence and pre-sell the shirts for a suggested minimum donation of $25 each. $10 of that amount will go to cover the cost of the shirts, but you will receive $15 per shirt you sell. Some people will even donate more than $25, we have heard of someone who donated $1,000 for just 1 shirt and your profit is everything over $10! The potential is unlimited. You can include this information in your support letters, emails and even on your blogs! Your supporters will donate towards your trip and these shirts will serve as another way to say “thank you” and remind them to keep you, your team and the mission trip in their prayers! Collect the funds from them up front, fill out the order form below and turn in your order by April 15th. Set a goal to sell at least 25 shirts and when you do, you will have almost $400 towards your trip…sell 75 shirts and raise over $1,100! This is where your family and friends come in – recruit them in your fundraising efforts, they will feel like they are a vital part of your mission trip! Pray and ask God to continue to give you creative ideas and favor – then watch the funds flood in for your mission trip adventure! Please contact us at info@missionthreads.com or call Big World at 1-800-599-8778 for any questions! Have supporters make donations directly to you. Then once your order is complete you will send a check payable to Mission Threads with a copy of your order form. Include $10/shirt plus $1/shirt to cover shipping. Sizes S-XL are $10, but $13/shirt for 2XL and 3XL. Shirts are adult unisex and will be white with olive ink. You will then send a check from your profits to Big World Ventures for your trip payments. IF PEOPLE WANT TO DONATE MORE AND WOULD LIKE A TAX RECEIPT, HAVE THEM MAKE THE CHECK OUT TO BIG WORLD VENTURES AND YOU WILL NEED TO COVER THE COST OF THE SHIRT OUT OF YOUR OTHER FUNDS RAISED. Make as many copies of this order form as necessary. Allow 2-3 weeks for delivery of shirts from the time we receive your order and payment, keep a copy of the order form for your records to distribute your shirts to supporters once you receive delivery of the shirts. Browse > Home / / JOIN OUR FACEBOOK PAGE - VIEW ALL OUR DESIGNS THERE! JOIN OUR FACEBOOK PAGE - VIEW ALL OUR DESIGNS THERE! Honestly, I've been "making t-shirts" for over 10 years for my ministry, and I haven't seen anything like the stuff that Mission Threads is coming out with in years. They are fresh, hip and truly cutting edge. 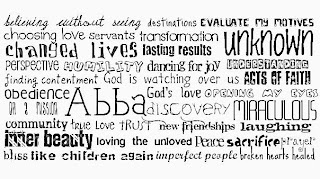 I'd work with them in a heart beat, not just because I think their stuff is cool, but I also think they're amazing people that truly understand the word Mission. "It's always exciting when true creativity and purpose finds it's way into something as cool as a t-shirt company. 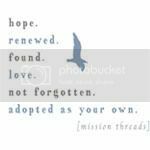 Mission Threads is a wonderful ministry that not only helps people raise funds, but benefits missions and overseas ministry. 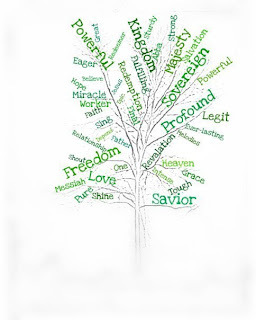 I love my Mission Threads t-shirt not only because I know it is helping further the message of Jesus, but I love to wear it because it looks awesome!" "We're all walking advertisements for something in how we present ourselves and what we wear. I'm proud to wear my Mission Threads shirt because I believe so much in the heart, sincerity, and pupose behind it! I LOVE that they are helping people make a difference in missions for the sake of Christ. On top of that, they have GREAT designs!" "This company is run with great integrity and creativity. I would recommend Mission Threads to anyone!" 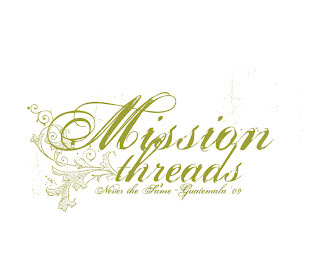 Mission Threads is the marrying of spiritual reality with something tangible that works in several ways: 1) It reminds people of what they have done to bring the Kingdom of God to people the world over 2) It reminds people to continue to support missions and 3) its cool clothing you actually want to wear. This is a must have for any missionary's tool box and a cool addition to the wardrobe. Win-win? Absolutely. Alex Gartman and Lydia White are students taking part in the Never the Same Brio mission trip to Guatemala (www.briomissions.com) this summer. They created these designs to raise support for this mission trip - they submitted their designs for us to review and our staff has decided to feature 2 of their creations to get everyone's feedback. If we get great response, we may add these designs to our line and 10% of all profits from these designs will go back into their future mission trip adventures! So...let us know your thoughts and if you think Mission Threads should add these to our line! You can post comments here or email us at info@missionthreads.com - so, sound off! Browse > Home / / Guatemala - Brio Missions Fundraiser! Guatemala - Brio Missions Fundraiser! We partnered with Big World Ventures to create a cutting edge, custom designed shirt for you to use to raise funds for your mission trip to Guatemala! Create buzz and momentum for your mission trip fundraising by involving your friends, youth group, family and church in this t-shirt fundraiser. It is proven to raise hundreds and even thousands of dollars. The best thing about this fundraiser is that there is NO money out of your pocket! For some reason, the olive green is not posting correctly online - it is pantone color 391 and is much more olive than it appears on screen...BUT if you click on the image, it should pull up a more accurate color.